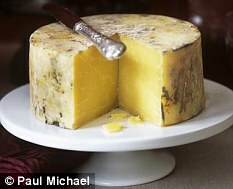 Cheese has been identified as the most stolen food item in the world according to the Centre for Retail Research. Cheese now has the unenviable title of the most “high-risk food item” because of its attraction to shoplifters. Retail crime in the UK alone has cost shop owners an estimated £4.9 million during the last 12 months alone and theft is becoming an increasing concern as figures show a 6.2% increase in the year to July. The last 12 months has seen food products as the most desirable items to be targeted for theft with cheese being the number one “must have”. It is dairy products that account for much of the increase with losses in this retail field alone being 3.9% in the UK. This is more than 3 times the global average. It seems the lack of positive measures to prevent crime and the increasing pressure on household budgets may account for this increase especially in the UK. Food lines are now targeted more than any other product. Compare this to clothes items at 1.86% and cosmetics at 2.37% and we see food outstrips all other items in terms of high risk. Thieves generally target branded products and the average theft amounts to £79 each time. With economic pessimism increasing and as the downturn bites it means inevitably more crime. The most worrying problem for retailers is staff theft. This amounts to 36.1% of all losses. This is obviously unacceptable and perhaps the most easily preventable of all retail crime. Of course in the long run we all pay for this theft in the form of increasing prices. Retailers have a duty to us all to increase security in order to protect the UK from rising prices enforced on the population of the UK by a small proportion of dishonest individuals. So what can retailers do? Well advancements in technology mean that for a relatively small cost compared to the losses involved HDCCTV upgrades can help. OK theft in the food aisles will be difficult to stop but at least positive identification can mean a ban from the shop so preventing a repeat theft. However once the clarity of HDCCTV is recognised by staff then this will act as a powerful deterrent to employees who until now are all too familiar with the failings of analogue. Using existing infrastructure upgrading to HDCCTV is simple and should be considered by all the unfortunate retailers who are finding that cheese is going off their shelves like never before , but unfortunately too many people now don’t seem to be prepared to pay for it. This entry was posted on Tuesday, October 18th, 2011 at 19:41	and is filed under CCTV. You can follow any responses to this entry through the RSS 2.0 feed. Both comments and pings are currently closed.